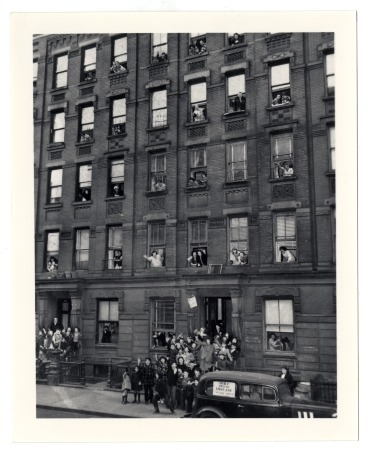 Italian Harlem | Embracing the memory of when East Harlem was Italian! “AIEH” Stands for ALWAYS in EAST HARLEM…the true spirit of a Bygone Era. Thank you, Roe! Somewhere around the year 2008, after I set up this website, I found Charlie DeMonte’s and Charlie Strippone’s website, called “The Old Neighborhood Online.” I was so happy to know that there were other like-minded people, as myself, who were interested in preserving the memory of a once booming Italian community, simply called Harlem, or “the neighborhood.” I call it Italian Harlem, as that is the memory that I wish to preserve. My Italian great-grandparents came to this neighborhood, to forge a new life in a new world. The United States of America was a country that was fairly young in its own right. The year was 1901, and America was a 125 years into being established as a nation. Tens of thousands of Italian immigrants gravitated to this particular area of Manhattan, in an attempt to reap the benefits of the American way of life. Fast forward to 2008, here I was in my 5th year of historical research of the old neighborhood, when I stumbled upon Charlie’s website. I joined the site, set up an account, and started to chat with other members, sharing stories of their lives in the old neighborhood. At some point in time, and here is the “kicker” of this article- I came across a 4 letter acronym, with the letters AIEH (all in caps) typed in at the end of a comment. I couldn’t recall who the person was that used the acronym, but it quickly spread to most users on that website, including me! When I asked what it stood for, I was captivated, and continue to use it, to this day. Rosemary Alvino Milazzo was born in East Harlem on November 5th 1959. She passed away on October 29th, 2009. She was a resident of Long Beach, N.Y. Her friends called her “Roe.” She leaves with us, a heartfelt legacy of AIEH. Always in East Harlem, in our hearts, our minds, and the pathway to our ancestry. Grazie Mille, Roe! Rosemary Alvino Milazzo. Photo courtesy of Janet Sinicola. Janet Sinicola(left) Rosemary Alvino Milazzo(right.) Courtesy of Janet Sinicola. Yes, God Does Bring Angels, Aunt Columbia! I just wanted to say that I enjoyed your site very much. I grew up in Carroll Gardens, Brooklyn, another great Italian neighborhood that sadly has lost much of its Italian population and traditions. I was always fascinated by the Italian American neighborhood of East Harlem, so driving through Pleasant Avenue on a warm Halloween night in 2007, I snapped two photos of some seniors sitting on chairs in front of their building at 310 Pleasant Avenue, while waiting for a traffic light to change. As I thought about that photo over the years, I think about the end of summer and with winter quickly approaching…. the cold weather. I think about these seniors and how they are enjoying talking “stoop gossip”. This might be the last time that weather permits them to sit outside like that. Due to their age that might be the last time that they are all together sitting outside like that. One never knows. I hope you enjoy it and hopefully someone recognizes the people in the photo. If, by any chance that someone recognizes them, can you please drop me a quick email. I would really appreciate it. Ok, back to my story. As I was reading Rich’s email message, my heart started to beat a bit faster. The intuitive thought came into my head that the attached photo has my Great Aunt Columbia Pennino-Altieri in it! The words “seniors sitting on chairs” and “Pleasant Avenue” were key in my belief that this was indeed a photo of Columbia, with friends. Quickly, I scrolled down to view and download the photo, and THERE SHE WAS! In the flesh- but wind back 10 and a half years! I was speechless! But, very happy to have this awesome photo! NOTE: Columbia is the woman sitting on the right of this photo, next to her friend, J.R.
Over 4 years have passed since you left this earthly plane of existence. Gone, but never forgotten. Your presence is very much missed, Daddy. CALL FOR VINTAGE PHOTOS! 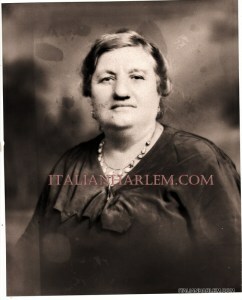 KEEPING MEMORIES ALIVE on ItalianHarlem.com! ALTHOUGH THE “HALCYON DAYS” OF EAST HARLEM ARE LONG GONE,PLEASE HELP ME KEEP THE MEMORY ALIVE, OF WHAT LIFE ONCE WAS IN OUR OLD NEIGHBORHOOD! SEND ME YOUR PHOTOS! I WILL POST THEM ON ITALIANHARLEM.COM! I WILL POST THEM IN MEMORY OF YOUR ANCESTORS…JUST MENTION YOUR FAMILY NAME, AND IT SHALL BE DONE! 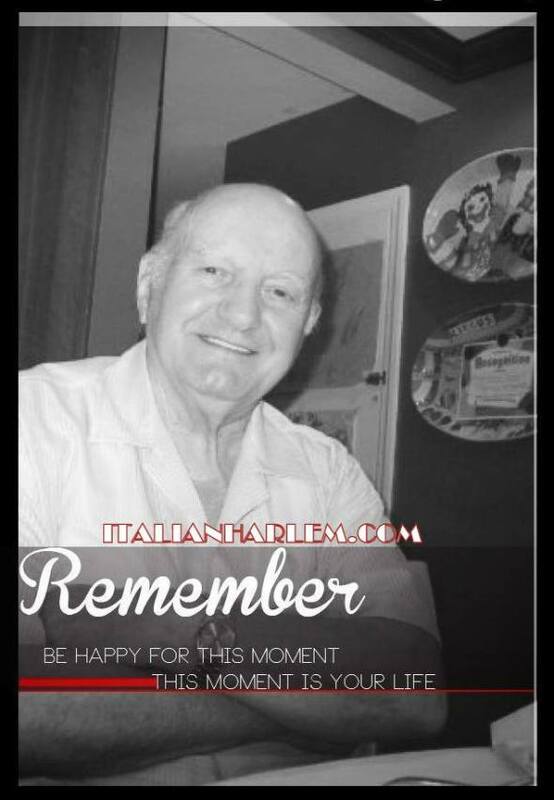 SHARE YOUR MEMORIES OF ITALIAN HARLEM!